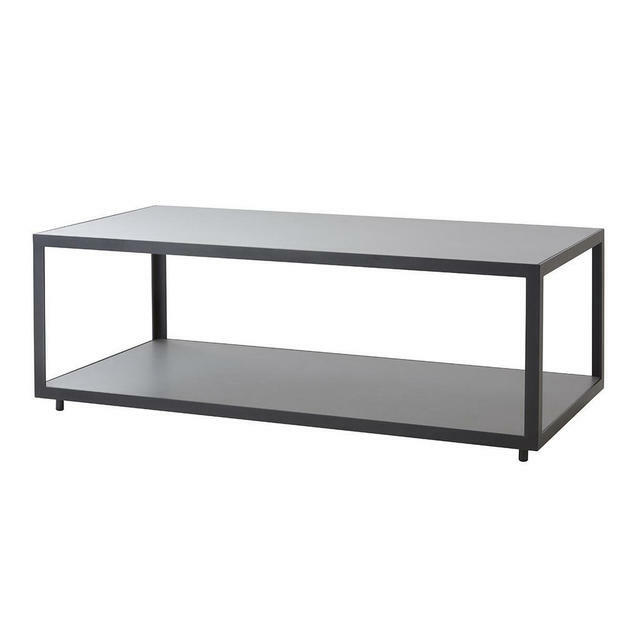 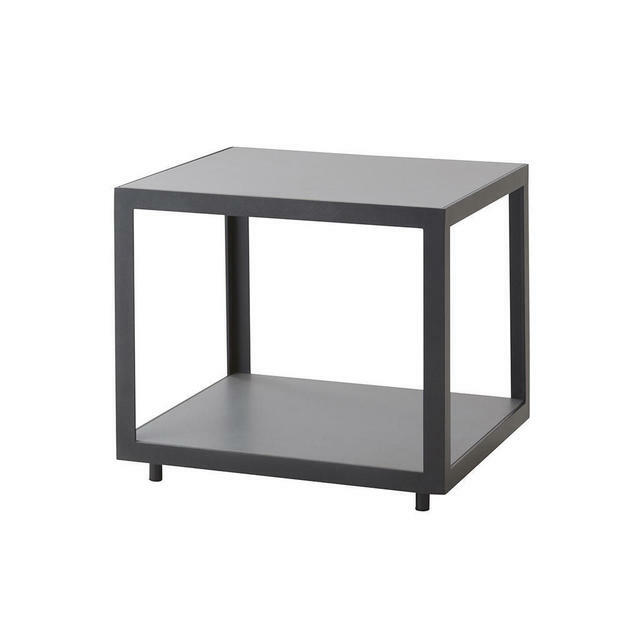 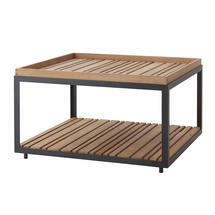 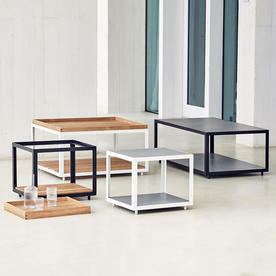 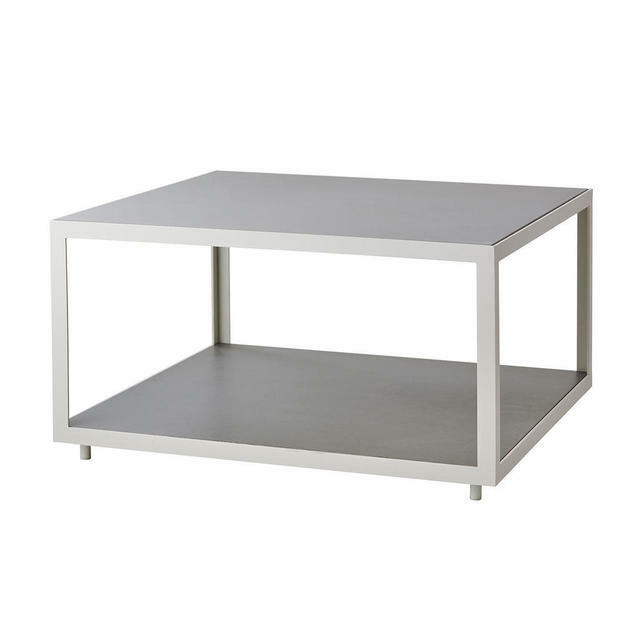 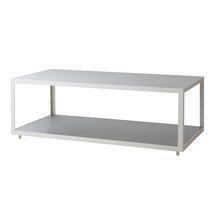 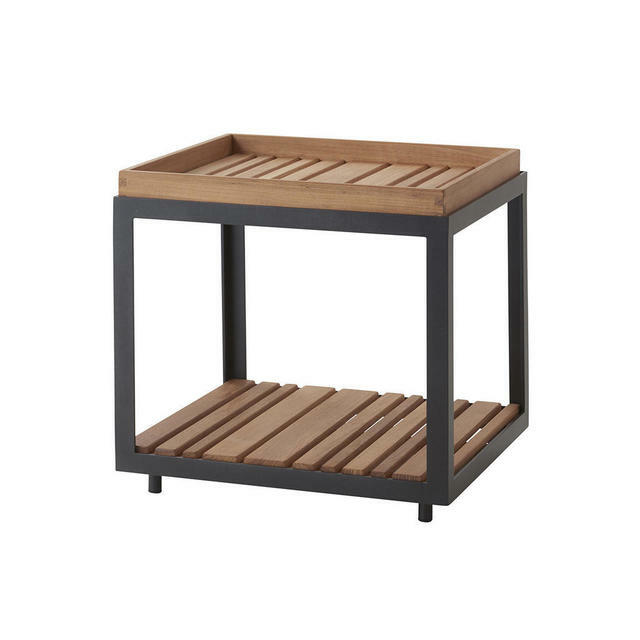 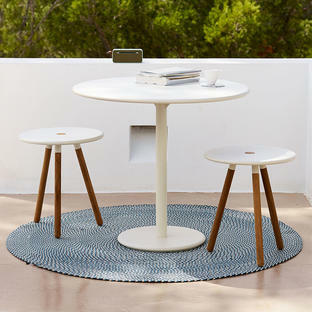 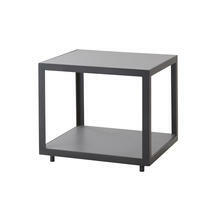 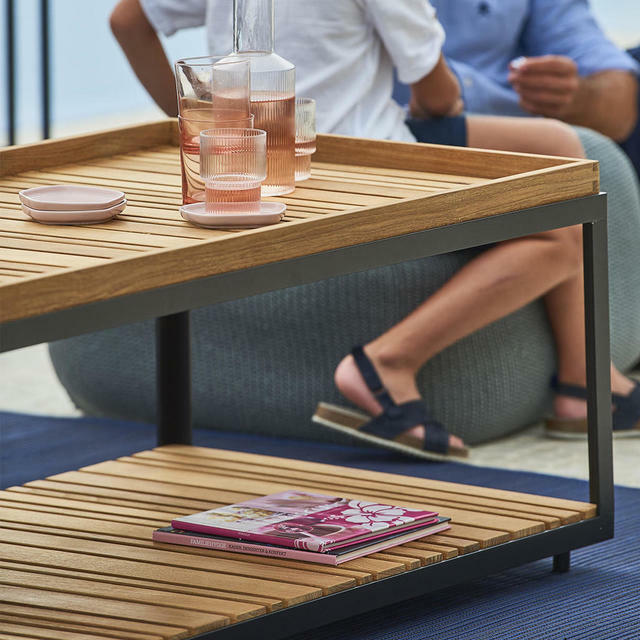 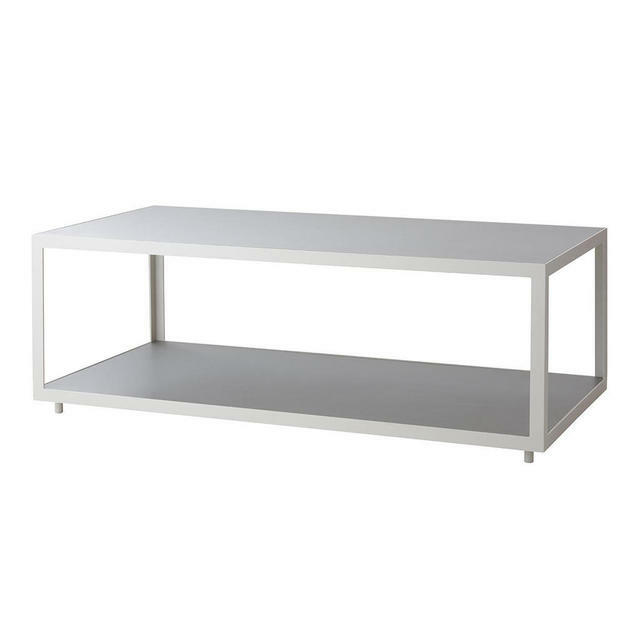 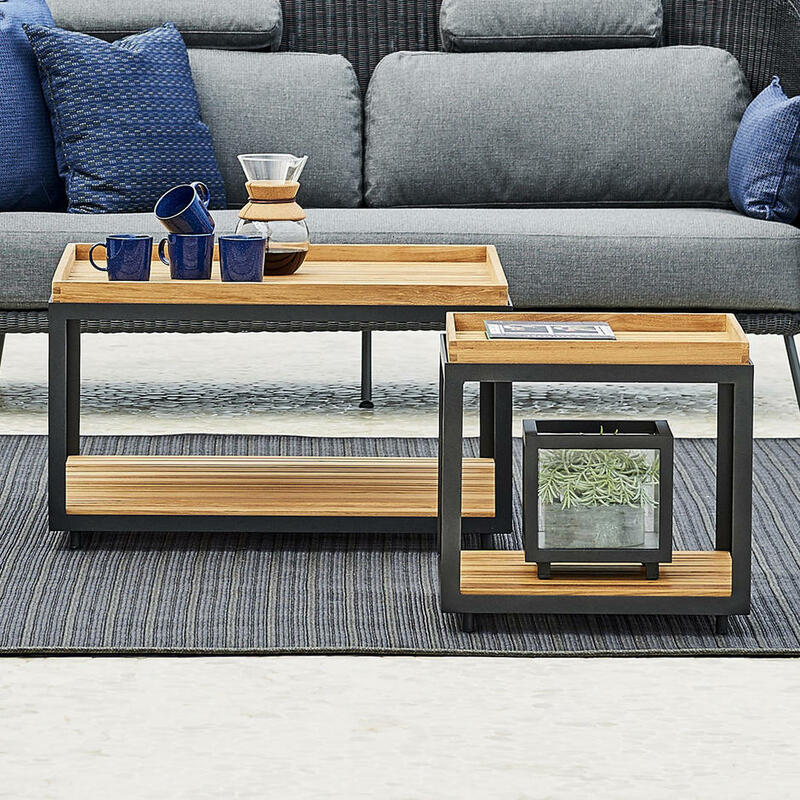 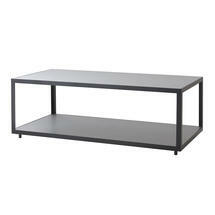 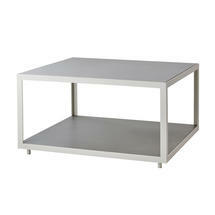 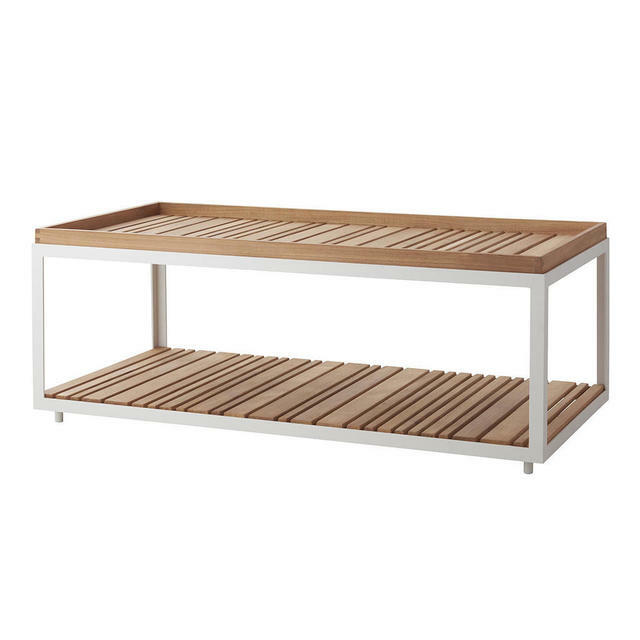 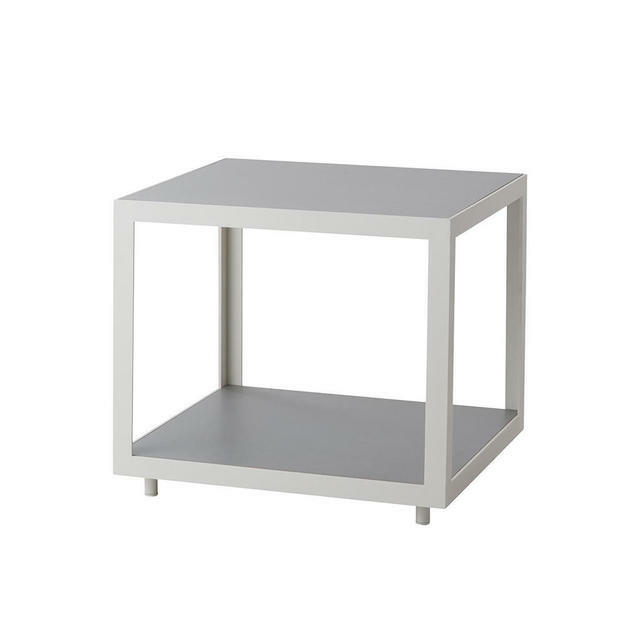 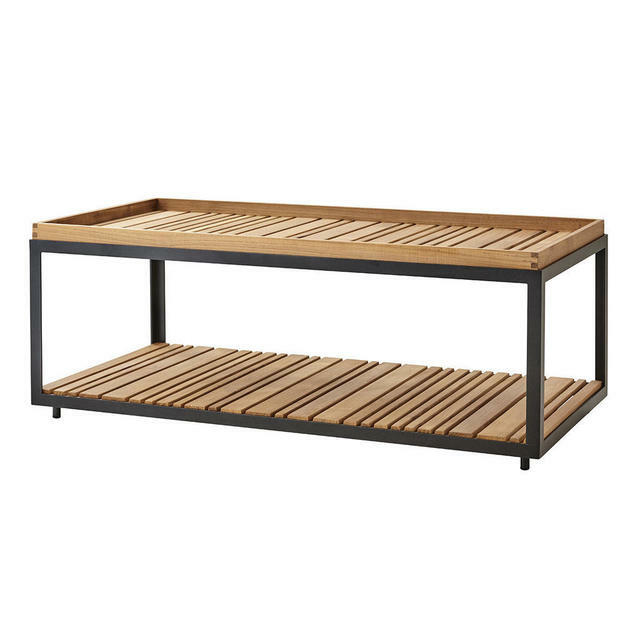 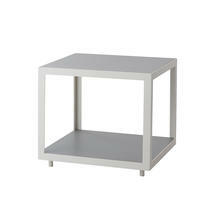 Versatile, sleek, low side or occasional tables for indoors or outdoors. 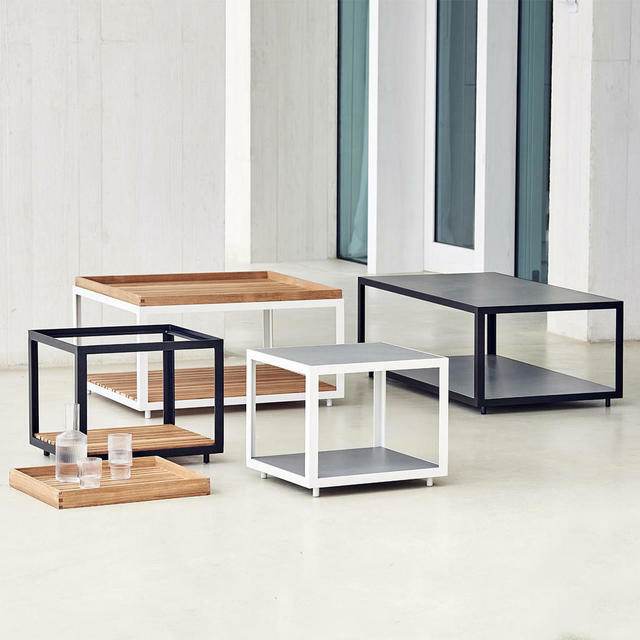 Contemporary occasional side and coffee tables, the Level tables are available in either aluminium with teak shelves or with hand-finished light grey ceramic shelves. 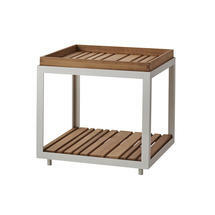 The teak shelves can be flipped over to allow the top to be either flat or with a rim as required. The Level tables are ideal to be teamed with collections such as Diamond Lounge or Moments modular seating. 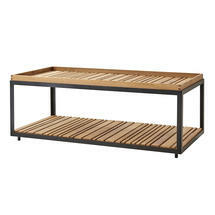 Teak Shelves or Ceramic Grey Shelves. 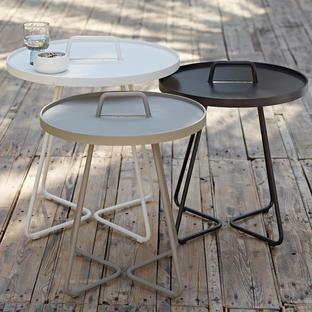 The frame is made from Cane-line Powder Coated Aluminium in dark lava grey or white. 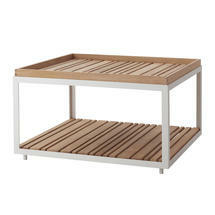 The shelves are made from Teak or Ceramic. 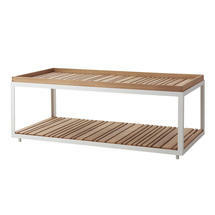 Slatted, untreated, certified Cane-line Teak Wood is best left untreated. It will develop a beautiful grey patina over time and requires only a minimum of cleaning. 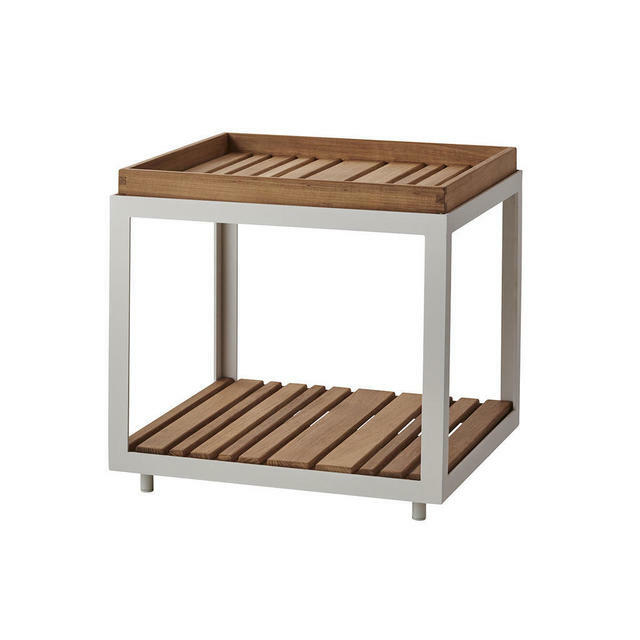 Cane-line Ceramic tops are extremely durable. 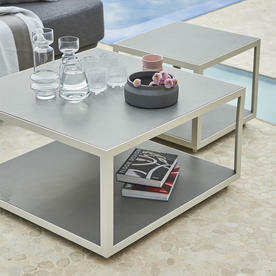 Because it is a natural material, the colour shades may vary from table to table.